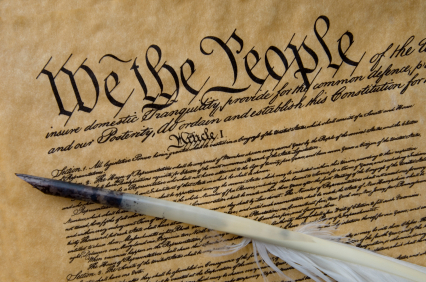 Sept. 17 was designated as Constitution Day by the United States Congress to commemorate the signing of the U.S. Constitution on Sept. 17, 1787. As part of the celebration, Dr. Dave Robertson, Curators’ Teaching Professor of political science at the University of Missouri-St. Louis (UMSL) and the 2016 Maxwell C. Weiner Distinguished Professor of Humanities at Missouri S&T, will discuss the creation of the U.S. Constitution and how it was formed through battle and compromise. Robertson will also talk about how the Constitution made it difficult to assemble majorities large enough to let the government act. Robertson is a U.S. political analyst whose specializations include American economic, social and environmental policy; labor market policy; American politics and public policy; and political and policy history. His most recent books are Federalism and the Making of America (Routledge, 2017) and The Original Compromise: What the Framers were Really Thinking (Oxford University Press, 2013). Robertson earned his Ph.D. in political science from Indiana University-Bloomington in 1981. He has served on the UMSL faculty in various positions since 1983, including assistant, associate and full professor, director of graduate studies, and chair of the political science department. Prior to joining UMSL, Robertson was an assistant professor at the University of Texas-San Antonio. For more information about Missouri S&T’s Constitution Day activities, contact Dr. Michael Meagher, associate professor of history and political science at Missouri S&T, at mmeagher@mst.edu or call 573-341-4342.